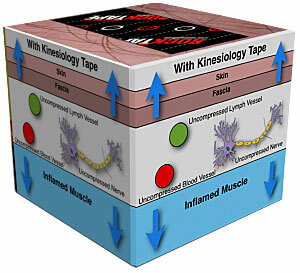 Kinesiology Taping: What Does RockTape / Kinesio Tape Do? Home » Ask The Trainer Blog » Fitness Gear » What Does RockTape / Kinesio Tape Do? What Does RockTape / Kinesio Tape Do? RockTape: What does it do? This past weekend in September, 2014, I had the distinct pleasure of attending a RockTape seminar in Connecticut at Riverside Muscular Therapy. Over two days, I was immersed into the world of RockTape, the course being taught by legendary health care practitioner and chiropractor, Dr. Perry Nickelston. While there, we learned about application techniques, when and how to use your clinical judgment in determining which taping protocol to use, and when not to tape – all amazing stuff. (For my previous thoughts on kinesiology taping, check out Kinesiology Taping and Performance). While I have a clearer understanding about this beneficial product, many in the health and fitness world – from coaches to the athletes themselves, are not sure how RockTape, and kinesiology taping in general can add a new element of competitiveness to their game. To begin, let’s go over the top misconceptions of kinesiology taping and RockTape. First, let’s go back to biology. During embryonic development, we have three distinct layers, the ectoderm, mesoderm and endoderm. 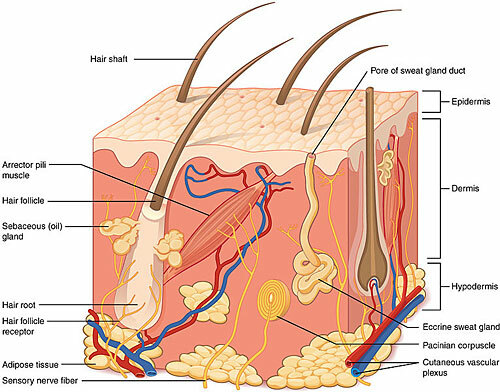 The ectoderm is a layer that shares a relationship between the cells of our skin, the epidermis and those of the brain and nervous system. Now that we understand the connection, we can see that by placing something on the skin can elicit a response that the brain will register. If, for example, you press your thumb into your forehead with increasing pressure (go ahead, I’ll wait), your body processes the information by registering ever-increasing pressure. The body can do this because our skin has free nerve endings in the form of mechanoreceptors. By eliciting a change on the surface of the skin, your brain will register a change. And because we are motile creatures, every time we move, your body will register the tape on your skin and provide your body with feedback. Finally, we understand that there are no ‘spaces’ in the body as it pertains to the layering of our bones, muscles, connective tissue and skin. Everything is anchored to adjacent tissues and moves as one whole functioning unit. Tissues are often bound by fascia that connects muscles to other muscles and allows these muscles to operate as a chain when they need to be recruited. Taping elicits a change at the skin, which can be detected by the underlying tissues (remember it’s all connected), which can change a movement response. Briefly touched upon above, there is a skin-brain connection as it pertains to taping. However, this is only part of the overall puzzle. We know that when tape is applied it affects all the underlying areas – but how is this achieved. The application of the tape ‘lifts’ the superficial tissues, which cause a ‘tenting’ effect beneath. This stimulates the cutaneous (skin) receptors, as well as the mechanoreceptors of the underlying tissues, causing things to pull up and move, or what RockTape calls, a local decongestion effect. This becomes very important as it pertains to swelling and edema. During injury, we understand that there is an internal response initiated by our bodies which includes initiating inflammatory responses and localized congestion. Taping allows for lift, which helps to not only decongest the area, but positively influence the lymphatic drainage system, as well as promote blood flow so that the body can remove metabolic waste and bring in nutrition. In the case of localized trauma where bruising or edema begins to settle in, taping is ideal as it helps to promote the exchange of nutrients to the area and begin to heal the area at an accelerated rate as well as mitigate pain levels. As mentioned above, we see that taping has other applications. The misconception that taping only affects muscles is not entirely accurate because it affects the movement pattern of those muscles. RockTape is well-known for their mantra of “taping movement, not muscles”, and it is evidenced by their specific application protocols. Sure, you may have a sore shoulder and yes the affected muscles required to elevate, abduct, adduct, protract and retract said shoulder are important with origins and insertions – but the bigger picture is – if you have a formal and clinical understanding of the global movement pattern, you tape accordingly without burdening the athlete with dozens of strips of tape when all you need is a few that will do a superior job. Remember, more is not better. Better is better. Okay, so we’ve addressed some of the myths surrounding tape – now it’s time to go over what kinesiology taping, specifically RockTape can do for the body. When applied to the skin, the tape lifts the affected skin and corresponding layers beneath. This ‘tenting effect’ allows for increased blood flow to and from the affect area while the body begins to knock out the inflammation and introduce the necessary nutrition to heal the area. Ideal for: Bruises, contusions, edema, sudden swelling, over fractures (such as ribs, which cannot be casted). As mentioned above, we understand the correlation between the surface of the skin and the ability of our brain to recognize and respond to the sensory feedback. Taping essentially runs interference over areas of pain. When pain occurs, your body gets locked into a pain-spasm-pain-spasm paradigm. That is, it keeps sending the signal in a feedback loop. The tape helps to interrupt this pattern by changing the perception at the surface of the skin. Now, when painful region is moved, the body has two signals it needs to interpret, which begins to change the feedback loop of pain. We understand that during sport, training or life in general, our bodies move synergistically. That is, muscles are turned on and off, up-regulated and down-regulated depending on what we are doing. These muscle complexes require coordination, strength and endurance if they are to operate optimally, else they can begin to break down, which leads to painful compensation patterns. Think of anyone you know who has had a knee problem, then develops an ankle problem on that side, only to develop a pain in their hip on the opposite side. Taping helps to balance and coordinate dysfunction back to optimal function. That is, over-active muscles begin to normalize, while underactive muscles begin to up-regulate and fire synergistically. From a competition perspective, if you are the athlete whose body is communicating effectively with other muscles, then you have a leg-up on your competition. And where minutes or precious seconds count, you need all the assistance you can get. Further, as your body begins to coordinate movement patterns back to a pre-injury status, your body will respond better to recovery and allow you go further into your sport or season with minimizing levels of pain. 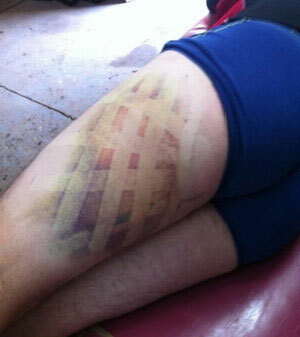 By comparison, traditional athletic taping is necessary when a body part needs stability. 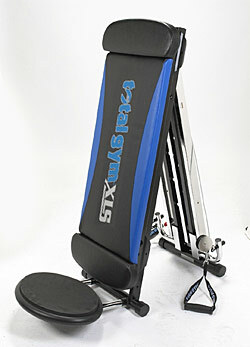 This stiffens the area, most commonly a joint – which helps the individual offset future risk for injury. 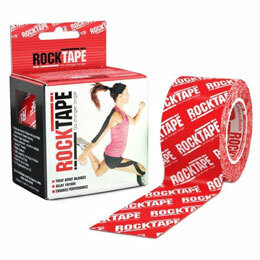 However, in cases where the joint has stability but lacks mobility, RockTape really stands out. By design, the tape is elasticized yet durable. Remember, RockTape tapes movement, not muscles. When you have full movement of a taped area, it provides instant feedback to your body and shares the load of other muscle groups that work synergistically to distribute the force and loads. This is important, as we recognize the stresses and strains that we place on our muscular, fascial, ligamentous and osseous tissues. If you are looking for a high quality kinesio tape, RockTape is your brand to stand out in your sport and be the rock star you know you already are! RockTape products have been engineered to be stronger and last longer than other kinesiology tapes on the market, and they are the choice brand for fitness enthusiasts and endurance athletes who require the performance to match their own.